It’s 2012, and Becky Trundle should be enjoying her career and preparing to send her daughter off to college. Instead, she gives up a job she loves to stay home and care for her grandson while her teenage daughter finishes high school. That would be challenge enough, but when life doesn’t go according to plan for her husband or her best friend, Becky does all she can to offer her love and support. It’s 1951, and Ivy Carrington has sent her boyfriend, Drew, off to the Korean War. Not wanting to worry him or make him feel obligated to marry her, she doesn’t tell him she’s pregnant. To help keep it a secret, she moves away from her friends and into a small apartment with her father above a dry cleaners. Ivy begins working at an old folks’ home. She befriends Anna Grissom, one of the residents, not only shares her life story with Ivy, but impacts her future. 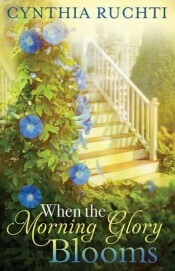 It’s 1890, and at only twenty years old, Anna has inherited a large house from a deceased aunt. Anna has a dream—to establish a home for unwed mothers. She has little money to work with, and she must also overcome the community’s feelings toward her project. But with a little time, a small group of people offer their help, and they provide a haven for young women who have nowhere to go. 1. 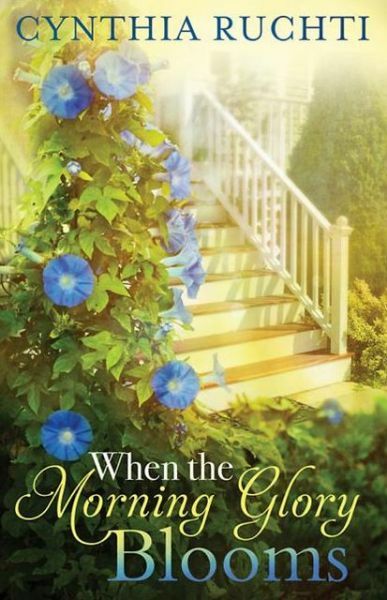 When the Morning Glory Blooms offers three stories in one book that connect in a beautiful and meaningful way. Although written in three time periods, I was totally engaged in each story—in the women’s lives, emotions, and dreams. 2. The author uses wonderful prose. Sometimes a book will contain several sentences or phrases that stick out as being particularly good or well written. The pages in this novel are filled with gems. 3. While there is the common theme of unwed pregnancy and the heartbreak it can bring, these stories also contain a wonderful message of hope and grace without being preachy. I LOVED this book and highly recommend it. When the Morning Glory Blooms has become one of my favorites for 2013. Submitted by a Christian Editor Connection member. 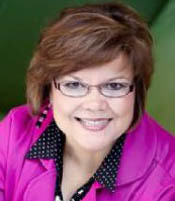 Cynthia Ruchti wrote and produced the daily 15-minute radio broadcast, The Heartbeat of the Home, for 33 years and was editor of the broadcast’s Backyard Friends magazine. 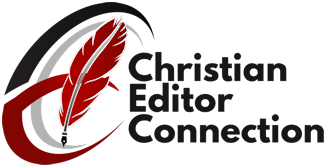 She served a two-year term as president of American Christian Fiction Writers and currently serves as ACFW’s Professional Relations Liaison. In addition to writing novels, devotionals, and magazine articles, she speaks for women’s events and writers’ conferences. Cynthia and her plot-tweaking husband live in the heart of Wisconsin where she creates stories of Hope-that-glows-in-the-dark. You can find her at www.cynthiaruchti.com, at www.facebook.com/cynthiaruchtireaderpage, or in the kitchen, brewing herself another cup of tea.